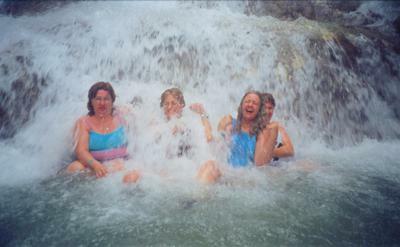 Hi, My name is Gayle Whalen and I'm the person on the right laughing my fool head off at Dunn's River Falls! 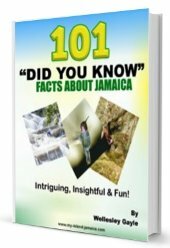 It was the first time I traveled to Jamaica (2002). And, it was to celebrate my 40th B'DAY with some very 'special' MacDonald sisters: Mary (left), Bonnie (centre) and Cathy (right, behind me). Even though my birthday is in November, we decided to wait until the last week of 2002 to travel to Jamaica. The reason: To also celebrate the 2003 New Year. What an AWESOME choice! The Holiday Inn Resort Montego Bay All-Inclusive was an excellent choice. 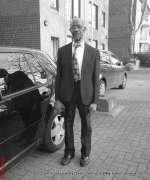 I loved the food, culture, atmosphere, entertainment and most of all the people. It was very difficult for me to return home. So much so that I had to go back again at the end of 2003 with my loved ones. This time to celebrate Christmas. And, of course, at the same resort.